Elusive Wildlife in the Last Frontier – What Might You Spot During Your Alaska Journey? Visitors journey to Alaska for a variety of reasons – some want to take in the awe-inspiring scenery, and others are anxious to get an up-close view of the aurora borealis. Then there are some who come to see exotic wildlife in its natural habitat in the unspoiled Alaska wilderness. From the more populated areas around Anchorage to the largely uninhabited Arctic Circle and everywhere in between, Alaska is chock-full of rare species that you aren’t likely to find anywhere else. Allow us to introduce you to some of the elusive wildlife you may spot in The Last Frontier. While its name may indicate otherwise, the Canada lynx is actually native to Alaska. 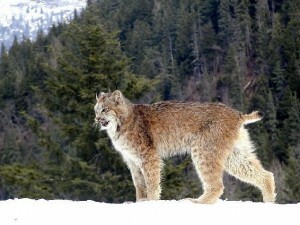 In fact, it is the only member of the cat family that is native to Alaska and can be found throughout most of the state. Lynx have distinctive large paws that they use like snowshoes to travel through deep snow. The lynx is one of the most elusive large mammals that call Alaska home and is listed as threatened under the Endangered Species Act. With its close proximity to the junction of the Klutina and Copper rivers, the Copper River Princess Wilderness Lodge is an ideal location for viewing a myriad of wildlife, including the Canada lynx. The American bald eagle was adopted as the official emblem of the U.S. in 1782, and to this day, it remains a symbol of majestic beauty and strength. 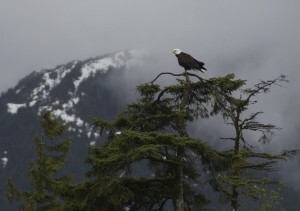 In coastal Alaska bald eagle numbers are among the highest in the nation. Visit the Kenai Princess Wilderness Lodge to relax and enjoy beverages and casual fare on the expansive deck that overlooks one of the nation’s finest bald eagle habitats. 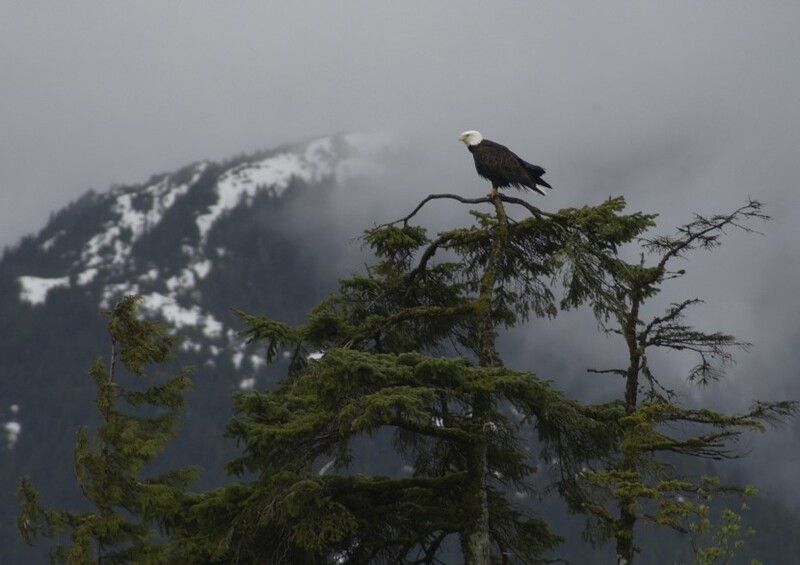 There, you’re likely to find eagles feeding on spawning salmon, perched in the trees near the river or resting along sandbars and gravel shoals. While you’re on the Kenai Peninsula, don’t miss the chance to take a glacier and wildlife cruise through the serene Kenai Fjords National Park. While cruising, keep your eyes peeled for the giants of the sea — humpback whales. Humpback whales are usually 39 to 52 feet long and generally weigh an unbelievable 80,000 lbs. Humpback whales are a favorite of whale watchers, as the species frequently stars in breathtaking aerial displays where they breach out of the ocean or slap the ocean surface with their fins. Humpbacks spend the winter months in warmer climates and spend their summers in higher latitude feeding grounds like Resurrection Bay. Glacier cruises out of this area also offer a chance to catch a glimpse of other unique coastal wildlife species such as puffins and sea lions. Alaska is the only state in the U.S. that is home to grizzly bears. 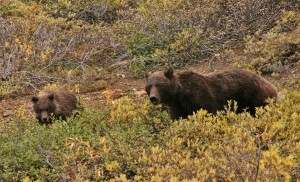 The grizzly, also known as the brown bear, is an endangered species that can be spotted throughout most of Alaska. Grizzlies are typically solitary animals, but in coastal areas they group together to get their paws on the fresh salmon rushing through the waterways. If you’d like to be one of the lucky few who have seen the grizzly bear first hand, stay at a Princess Alaska Lodge and take an excursion into a known brown bear habitat. The staff at each lodge will be able to recommend a great local day trip that will provide a safe, guided opportunity to witness one of North America’s largest land mammals.